It's golf's version of March Madness! The bracket is set. Now it's time for the madness to begin! 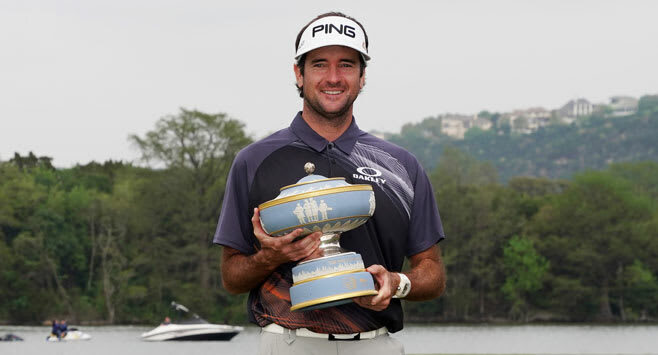 Interestingly, in the three years that this event has been played in Austin, the winners have been power players -- Jason Day (2016), Dustin Johnson (2017) and Bubba Watson (2018). Will that trend hold for 2019? With the number of medium hitters who are playing well this year, it's not a given. The WGC-Match Play also offers an unusual twist to Twofer Tuesday. Because only one player makes it out of each pool, and those winners make up the round of 16, ANY player who makes it out of their pool AUTOMATICALLY gets at least a T9. So if I pick two players who make it out of the pools, I'll at least get two Top10s added to my stats this week! For my Top10 I'm picking Justin Thomas. There are so many players I could pick and feel good about, but JT seems a bit under the radar to me. And given that he finished fourth last year, it's hard to believe he won't do well this year. And my winner is Paul Casey. I admit that Casey might be a bit of a stretch, as he could be gassed after his win at Valspar this past weekend. But many of you will remember that I picked Casey a few years back, when he was broadsided by sickness on Saturday night and didn't get the win. It looks to me as if his game is back and he does have some history in Austin, having posted a T9 in 2017. So I'm taking him again. This week is full of hard choices, as Fleetwood, Molinari, Day, DJ, Furyk and Kuchar (among others) are all playing well. But I feel good riding with my picks. And I'm really interested to see how Tiger does, since the Ryder Cup gave us no indication of how he might play with his new swing. Remember that pool play begins on WEDNESDAY this week, not Thursday. GC's coverage begins Wednesday at 2pm ET, with PGA TOUR LIVE streaming from 10:15am ET. All-in-all, I'm looking forward to this week. It's hard not to love match play!